The Summer Games schedule is here! Let the games begin! In 2013, Special Olympics Nebraska will host over 1,500 athletes - who will put a year’s worth of hard work and dedication to the test as they compete for the bronze, silver and gold at the 2013 Summer Games! The Special Olympics Nebraska Summer Games are the largest statewide individual event and are scheduled to take place between May 22-25 at Creighton University, Northwest High School, Skatedaze and other venues in Omaha. 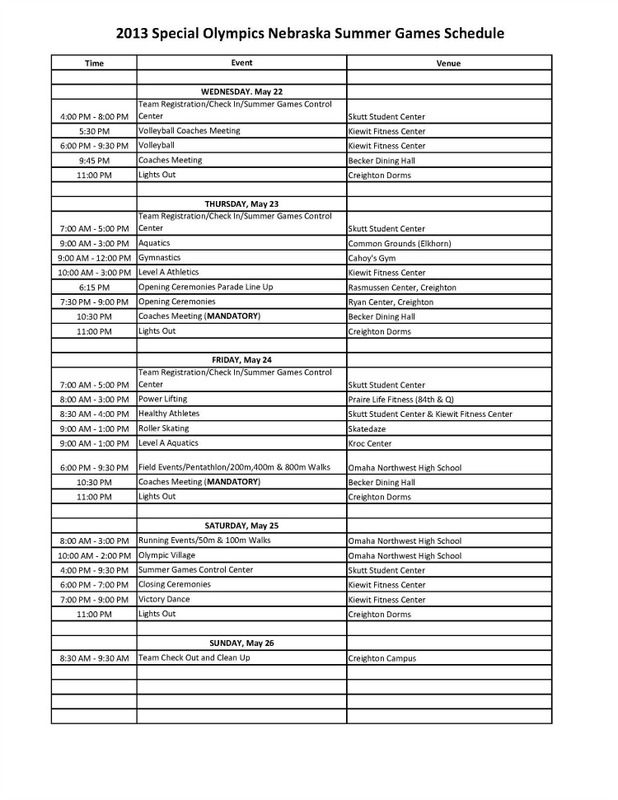 Download the Summer Games schedule below!